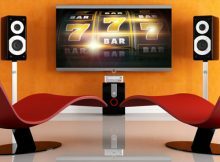 Online slots offer an amazing array of gaming entertainment. The older three reel slots have been replaced for the most part by five reel video slots. 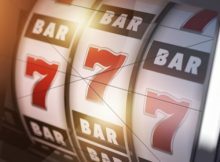 There is a world of difference between the old slots that some casinos have kept around for the sake of nostalgia and modern video slots online. Because of the exciting developments in slots play, gamers flock to them. Here’s why. Every video online slots machine has a theme. It is up to the slots developers to bring the theme to life, so to speak. Some developers have earned a reputation for the continuing excellence of their video slots even as they bring out a couple of new ones every month. The list of slots themes is seemingly endless. You can go for high adventure, space exploration, romance, family vacations, heroism, and so much more we can’t list them all. What they all have in common are the characters that “tell the story”. 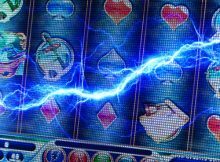 In an average online slots game there are twelve characters or symbols. Some games have actual characters for each one while others rely on the Royal symbols. We like slots with the full creative complement of twelve created symbols. In addition to the characters, video slots have Wild and Scatter symbols. The Wild symbols help you create wins by substituting for all other characters except the Scatter. When a Wild symbol helps you win, there may be a multiplier applied to the win. Wilds may be stacked on a reel. This means that there are more than one Wild symbol on a given reel. The Scatter symbol is called that because it wins in all positions as opposed to all other wins which must follow the pay lines you’ve bet on. In some online slots, you win with as few as two Scatters but you always need at least three to get to the bonus round. The bonus round is one of the reasons so many gamers love video slots. When you play online slots real money, you can win big in the bonus round especially. Whatever extra ways the individual slot gives you to make winning easier in the basic game, the bonus round often offers more. First, most bonus rounds are for free spins. 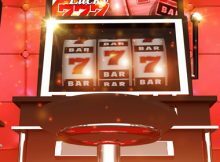 Free spins are sort of free online slots. You might be awarded many free spins. 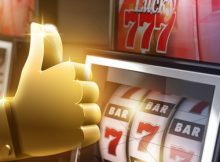 In some online slots, you can retrigger the free spins bonus by again getting three Scatters during your free spins slots play. The multipliers that may have applied to wins with the Wild symbol in the basic game may be increased in the bonus round. Some bonus rounds offer you the choice between a higher number of free spins and a higher multiplier. Video slots offer far more pay lines than the older slots. Nine pay lines is common but several dozen is not unusual. Some slots have so many ways to win that they don’t talk about pay lines. Instead they talk about ways to win. The most common number of “ways to win” is 243! But the number can increase to over 1000 ways to win if in the bonus round, the game adds another row. 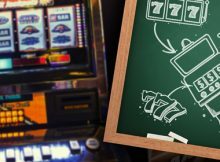 All this talk about pay lines, bonus rounds, multipliers and so forth leads us to a short discussion of online slots strategy. As you know, slots are primarily games of chance. This sets them apart from such games as table poker, video poker, and blackjack which combine luck with a large measure of skill. 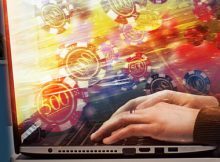 There are, however, a couple of areas where following good online slots strategy increases your chances of winning big. 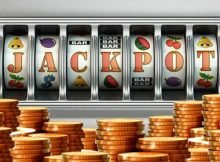 In any slots online, the biggest jackpot in both the regular game and in the bonus round is when you have bet the maximum on the winning pay line and you get five Wild symbols on such a pay line. So, it’s good strategy to bet on all pay lines and to bet the max. With this in mind, you have to understand your own limits when you’re playing online slots real money. If a slots game has too many pay lines for your budget, it likely is good slots play to choose a different slots game. The same rule of strategy applies when you’re playing a game with a progressive jackpot. 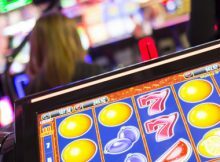 It has happened more than once that player thought he had won the big jackpot but it turned out that he hadn’t bet the max on the winning pay line. Again, keep your gaming budget in mind when going for a big progressive jackpot. 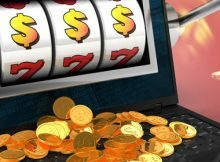 Online casinos have many progressive jackpots. As much as you would like to win the jackpot worth millions, if your budget says “no”, you ought to pay for a jackpot that pays just thousands. These wins are also welcome! Many casinos offer slots tournaments. These are always fun but you have to read the rules because they differ not only from casino to casino but also from tournament to tournament. There is one more area of online slots we need to touch upon in this short overview. 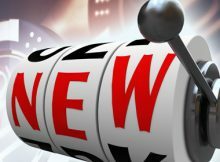 Many casinos offer free online slots as part of their Welcome offer to new players. The casinos offer free spins. In some cases the free spins are part of a free online slots no deposit bonus. 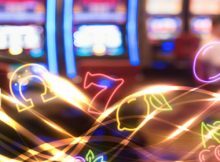 It is not unusual for gamers to join a casino in order to get the free spins bonus. of course, you must play for real money for a while before you can withdraw any winnings but, you ca still win big with your free spins and take your winnings home with you. The best way to discover the wonderful world of online slots is to join a casino and play in free mode. This gives you the chance to get to know the games offered by that casino. This advice applies to all the games offered including the silly parlor games. In fact, online casinos want you to play for free before you play for real money. So, go to the casino that seems to meet your needs and play there for a while. Start with online slots if that suits you and then go on to all the other games you might want to play. The bottom line is: have fun. After all, even though you might put money on the outcome of the games, they are still ultimately games.